It struck me while I was reading this book that one of the differences between the Golden Age murder mystery & a lot of modern detective novels or thrillers is the status of the victim. In the Golden Age novel (& some modern police procedurals), the victim is hardly regretted. They are introduced only in order to show the reader how repulsive they are & then they're mercifully bumped off. In modern thrillers, particularly those with serial killers, the victims are portrayed as innocents, invariably in the wrong place at the wrong time. They usually don't know their killer so they can't have done anything to "justify" their death. The plot of the Golden Age novel was generally more concerned with the puzzle of the mystery & to have a reasonable number of suspects, the victim had to have made a certain number of enemies. I know this is a terrible generalisation but there it is, for what it's worth. 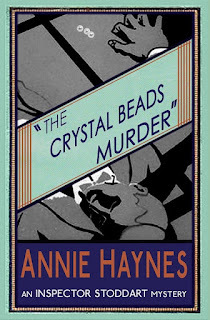 The unlikeable victim is one of the characteristics of the Golden Age puzzle mystery & as I enjoy a good puzzle as much as the next reader, I loved The Crystal Beads Murder by Annie Haynes, another neglected writer rediscovered by Dean Street Press. When the body of Robert Saunderson is found in the summer house of Lord Medchester's country house, Holford Hall, in Loamshire, there are several people who are glad that he's dead. Saunderson was a man of mysterious antecedents. Rich & connected to the racing set, he had been invited to Lord Medchester's house for a weekend mostly because of those racing connections. There are also rumours that Minnie, Lady Medchester, is having an affair with Saunderson. Saunderson had also become acquainted with Lord Medchester's cousins, Harold & Anne Courtenay. Harold is a weak young man, trying to gamble his way out of financial difficulties & failing. He's running around with a vulgar crowd that includes Maurice & Sybil Stainer, a couple of chancers who have battened on to Harold & are leading him astray. Anne dislikes Saunderson & is repelled by his obvious interest in herself. She is engaged to Michael Burford, the trainer at Lord Medchester's stables. Harold has put himself into Saunderson's power & the only way for him to avoid disgrace is if Anne agrees to marry Saunderson. She is horrified by this but is also afraid of scandal & afraid of upsetting their elderly grandfather. Some weeks after the weekend house party at Holford House, Saunderson writes to Anne, asking to meet her in the summer house to discuss her future. The scandal over Harold's misdemeanor is about to break & Saunderson is pressuring Anne to marry him. The house is full of guests but Anne goes to her room after dinner & prepares to meet Saunderson. Someone hiding in the shrubbery watches Anne as she enters the summer house & as she leaves with a look of horror on her face. Next morning, the body of a man in evening dress is discovered in the summer house. He has been shot in the heart. Robbery doesn't seem to be the motive but there are three crystal beads found in his pocket. Beads that were not there when the local policeman, Superintendent Meyer, first examined the body. Inspector Stoddart & Sergeant Harbord of Scotland Yard arrive to lead the investigation into Saunderson's murder. They soon discover that there are almost too many suspects. Saunderson owned a money-lending business & dabbled in blackmail on the side. There are the rumours of his affair with Lady Medchester & the evasiveness of Anne & Harold Courtenay. What was Saunderson doing at Holford Hall when he wasn't a member of the house party? It seems likely that the murderer must have been among the household or guests at the Hall but then a figure from Saunderson's past makes a surprise appearance & sends the investigation in another direction entirely. The significance of the crystal beads continues to be elusive & it takes a visit to the dentist to provide a vital clue. I thought this was a terrific mystery, I read it in just a couple of days. The pace is brisk & I really liked Stoddart & Harbord. I love a good police procedural & I enjoyed the way that Stoddart works his way through the different scenarios that present themselves. The characters of Anne Courtenay & Lady Medchester are particularly well-done as they are both caught in traps partly of their own making & we watch as they thrash around trying to extricate themselves. The minor characters are individuals, not just stock characters, from Mrs Meyer, wife of the local policeman to Mrs Yates, keeper of the lodge at the Hall & the tramp who becomes a vital witness. 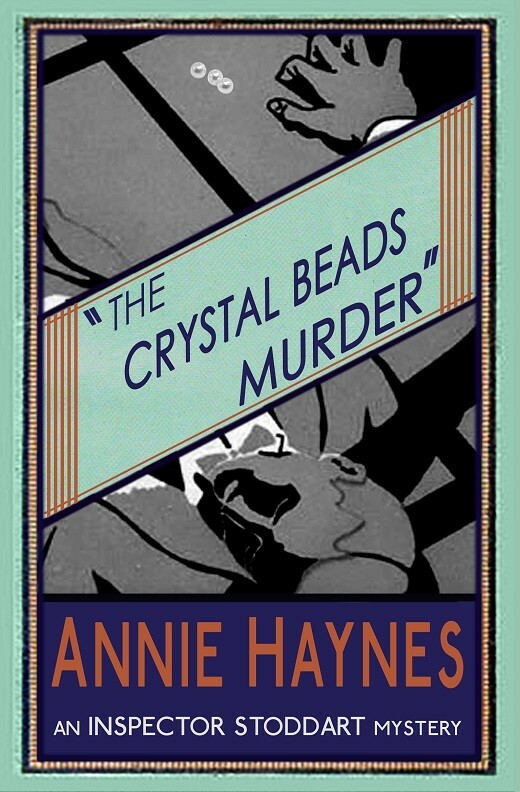 The Crystal Beads Murder was published in 1930 & was Annie Haynes's final mystery. In fact, she died leaving it unfinished & another writer completed the manuscript. I couldn't see the join but then, I was reading so fast that I'm not surprised I failed to notice. Dean Street Press are republishing all twelve of Haynes's mystery novels which she wrote in the 1920s. She was well-regarded in her time, one of only two women mystery writers published by The Bodley Head (the other was Agatha Christie). I'm not sure how relevant that is as Agatha left The Bodley Head for Collins as soon as she was able to get out of her contract, but they did give her a start. Curtis Evans has written the Introduction to all the Haynes reprints & he's done considerable research into her life & career. Born in 1865, she was the daughter of an ironmonger, who lived with her mother & grandparents after her father left the family. Her grandfather was the gardener at Coleorton Hall in Leicestershire. In later life, Haynes lived in London with Ada Heather-Biggs, a prominent feminist & social reformer. Haynes published her first novel, The Bungalow Mystery, in 1923, although she had written newspaper serials. Her novels were admired by critics who enjoyed the crafting of her plots & characterization as much as the twists & turns of the puzzle. She suffered from rheumatoid arthritis for the last 15 years of her life & it's remarkable that she was able to continue working. 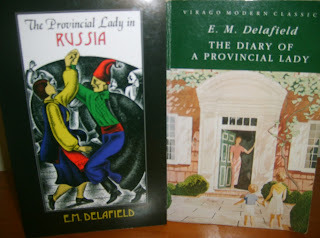 Her novels were out of print only a few years after her death & were forgotten until this rediscovery. Dean Street Press kindly sent me a review copy of The Crystal Beads Murder. I've noticed that trend in "cozy" mysteries lately, lyn. The victim is so unpleasant or evil that killing him/her is almost a public benefit. From the first page there seems to be a flashing sign over his/her head: future victim. I haven't heard of Annie Haynes, but these sound like books I'd like. Hopefully I can find the reprints here in the US. It seems to be more typical of cosy mysteries, doesn't it? Where the puzzle & the series characters are more important than the victim. Still, an unlikeable victim usually results in lots of suspects. Oh, this sounds good! I just found the first book in the series for my Kindle for about a dollar, so I didn't even have to exercise restraint! Was that The Man with the Dark Beard, Audrey? I've just read that one & I'll be posting about it on Thursday. I enjoyed it but it was a little more melodramatic than Crystal Beads. I do like Inspector Stoddart though & I'm looking forward to reading the rest of the series. I have been a dumb member of a group that discusses "Golden Age Mysteries" for some time now and we are all glad that this kind of detective novel is coming back. I like these whodunnits best. I would not describe them as "cosy" - and I know my fellow GAD members would hop to the ceiling were they to hear it! :) - but they are less openly gory and bloody than the new "detective" books. As you say, they are like puzzles and it is no coincidence that whodunnits and crosswords puzzles came along. I am not sure that all victims are "bad persons". Not in Agatha Christie for instance, and it would be interesting to see what happens in N'gaio Marsh, Margery Allingham, Josephine Tey, Gladys Mitchell, etc 's books. But I agree with you that it is easier to have more suspects when the dead man or woman is unsympathetic. Last comment, the reprints by the British Library of whodunnits with attractive covers have done a lot to boost the genre again. Glad you enjoyed the review. Yes, it's good to see more of these classic novels being reprinted. Like Audrey, I just found that quite a few of Haynes' books are available on Amazon US & UK Kindle versions for a dollar or two. I've just bought four. I hope you enjoy them Joan. I think at least the first books in Haynes' two series are very cheap at the moment which is a great way to get readers hooked. Having read all four Inspector Stoddart novels I think my two favourites are The Crime at Tattenham Corner and Who Killed Charmian Karslake? I felt The Man with the Dark Beard was too dominated plot wise by sensation fiction elements which hampered the detective investigation side of things. Unfortunately I could detect the change in style in The Crystal Bead Murders (having read the previous 3 first) but it's still a good mystery. I've reviewed all four novels on my blog www.crossexaminingcrime.com. Hopefully I will soon be moving on to the trio of Inspector Furnival novels Haynes also wrote. I'm glad you enjoyed the other two Stoddarts as I also have them on my Kindle ready to go. I'm posting my review of Dark Beard tomorrow & I agree with you about the melodrama but I still enjoyed the book. I loved Aunt Lavinia although I didn't believe in the resolution of her story for a minute. I'm glad DSP are reprinting Haynes & I'm looking forward to reading more of her work. Looking forward to reading your review on Dark Beard and yeah Aunt Lavinia's ending was definitely an unexpected wild card. I love these sorts of mysteries too, Lyn. Thanks for this review - I was just over at Tracey's blog, THE PASSING TRAMP and she linked me to your review - she is talking about Annie Hayne's books and their current availability. I do like re-issues. (I just wish they were a little bit less expensive.) I'd never heard of this author either. But I will be wanting to read a couple of her books now. Thanks, I'll go over to TPT right now (I knew who you meant!). Curtis wrote the Intros to the Haynes reprints & did a lot of research into her background. She was virtually unknown until very recently. P.S. Most definitely NOT Tracey, but Curtis at THE PASSING TRAMP. I can only plead old lady memory lapse. Sorry. Yup, I'm a man, baby! (said in my best Austin Powers accent).